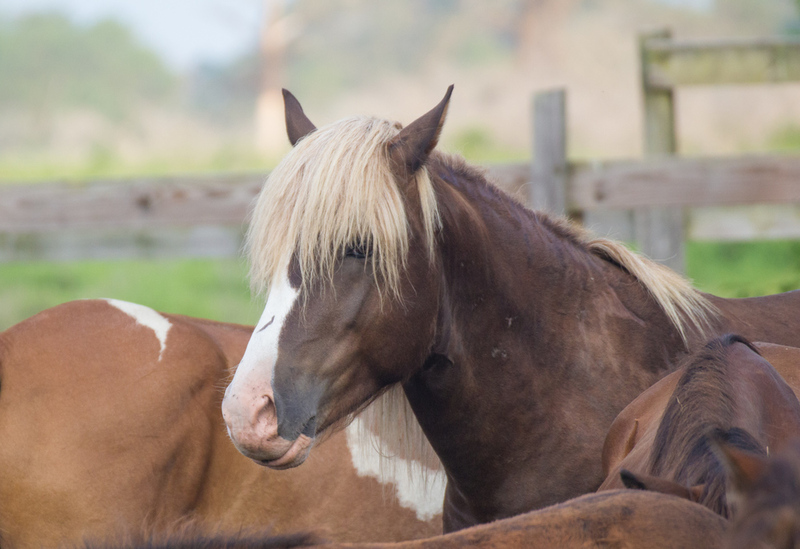 In 1835, the first written description of "pony penning" appeared, though the practice of rounding up livestock on the island existed for many years before that. Initially, unclaimed animals were marked for ownership by groups of settlers. By 1885, the event had become a festival day, and two days of horse and sheep roundups were held on Assateague and Chincoteague Islands. These photos capture something of the beautiful spirit of these unique horses. One of the buy-backs breaks free. 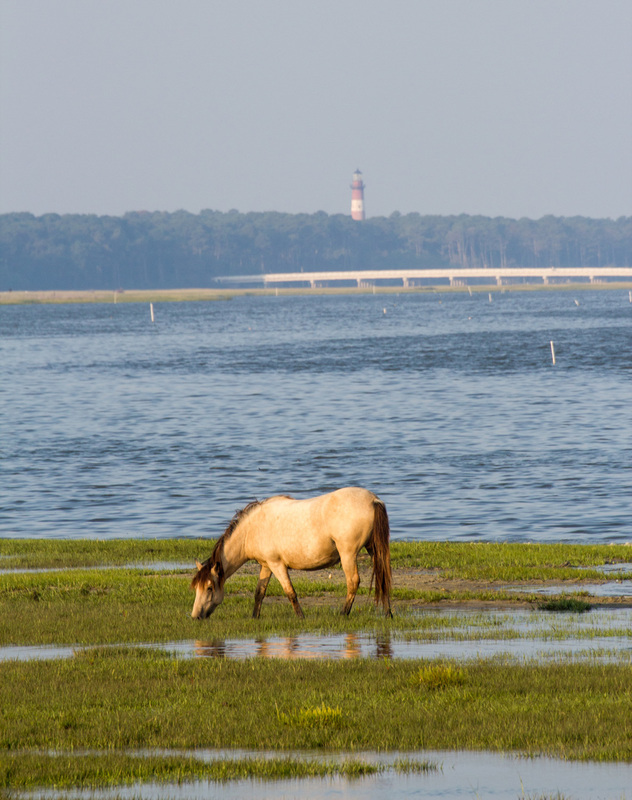 A mare grazes 2 or 3 miles north of the Assateauge Lighthouse. One of the more popular fellows on Assateague Island.